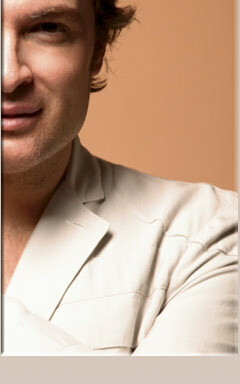 David Clemmer is a Canadian-born television personality, celebrity stylist and CEO of Judy Inc. He is known for his work both behind the scenes and in front of the camera. In 1999, David co-founded Judy Inc. and is now its sole owner. An International artist management company with offices in Vancouver, Toronto and Montreal. David is a frequent contributor to several top national and international magazines and publications and is continuously his philosophy into everything he does – "When you look great, you feel great and do great things.". Born in Kitchener, Ontario, David was always passionate about style and fashion. At four years old, while eagerly waiting for his television debut on Romper Room, David was quick to decide that the button-down shirt his mother had laid out for him was not the casual look he was going for. Several outfit changes later, David, armed with his favorite tee, finally felt ready to win over the Romper Room on-set. From that moment on, David had the desire to entertain and perform, pleasing audiences young and old, male and female, Canadian and international. As the owner and CEO of Judy Inc., David works with artists on marketing, building their clientele, and defining and attaining their professional goals. Judy Inc. artists work internationally in the areas of fashion, television, print advertising, and movie and celebrity promotion. Judy Inc. clients include Penelope Cruz, Jude Law, Adrian Brody, Celine Dion, Sting, Sienna Miller, Robert Pattinson, Jennifer Hudson, Catherine Zeta Jones and Cate Blanchett. Judy Inc. is also particularly proud of its international roster, as well as its print production venture, an exciting casting wing and launched the launch of Judy INK, an online lifestyle magazine. David can be seen Internationally on the hit TV show Style by Jury, Styleography and Steven & Chris. Other numerous TV appearances include Entertainment Tonight, Canada AM, Star TV and most recently, Kenny Hotz's Triumph of the Will. He has contributed to many top national and international magazines and publications including ELLE Magazine, Glow Magazine, Clin d'oeil, Grand Magazine, Lou Lou Magazine, and of course, JudyINK. David's red carpet commentary is an annual favourite for productions including The Academy Awards, People's Choice Awards, and The Golden Globes, just to name a few. As a part of his ongoing charitable work, David is a volunteer on the organizing committee and a member of HEART & MUSIC. Inspired by a song of the same name from William Finn’s musical “A New Brain", HEART & MUSIC is dedicated to raising money to support innovative ovarian cancer research. He also contributes to the annual Girlfriend's Getaway Weekend which benefits The Art of Fashion, a not-for-profit Canadian organization dedicated to supporting emerging designers. David is available for events and public appearances. For booking details please contact Judy Inc. at 416-962-5839.